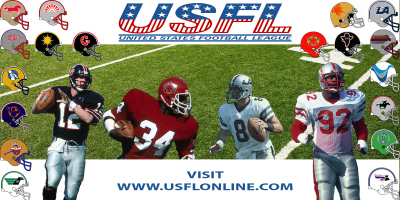 Before Steve Spurrier was famous for being head coach of the Florida Gators or Washington Redskins and now of the Alliance of American Football, the Ball Coach led the Tampa Bay Bandits of the USFL. Washington Redskins owner Daniel Snyder paid Spurrier $5 million a season to coach his team in 2002. Twenty years earlier, Spurrier was offered only $50,000 to coach the Bandits by owner John Bassett. Bassett got a better bang-for-his-buck, as Spurrier won 35 games in three years as coach of the Bandits. The Ball Coach has come a long way since his first head coaching job with the Bandits. Spurrier was the offensive coordinator for Duke, when the Bandits came calling. Bassett came down to North Carolina to talk to Spurrier about this new venture called the United States Football League. Over a few martinis and a meaty T-bone steak, Bassett and a few of the minority owners agreed to offer Steve the job as the first head coach of the Tampa Bay Bandits. Spurrier never negotiated his salary when he agreed to coach the Bandits, so he was a bit surprised at what ownership thought was an accurate figure. Bugsy Eaglehardt, who was the general manager of the team, tried to low-ball the coach.